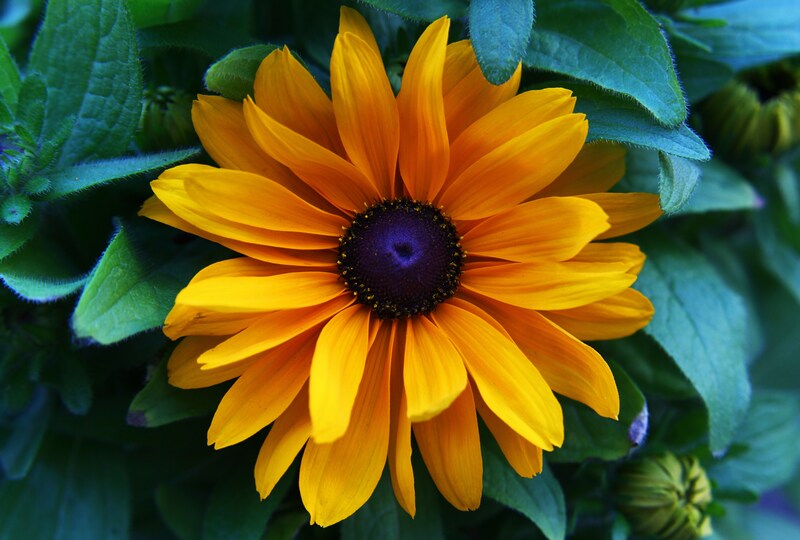 This entry was posted in Photographs and tagged flowers, nature, photograph, rudbeckia. Bookmark the permalink. We shall be goofy together. I appreciate that…thank you again. My “…more” button isn’t working to approve your response, so 🙂 Right back ‘atcha!! Love how the blue stands out and brings the eye right in. When you look further, I see other notes of blue on the greenery. Nice! It took me a long time to appreciate Black Eyed Susans. I will probably never find them beautiful, beyond the wonder all flowers inspire in me. But I will say that nothing is “prettier” than rudbeckia and purple echinacea clustered by a roadside gate post on a summer afternoon. This is stunning, Carol. The colors! You never told me what kind of camera? lens ? I just bought a Nikon 5300 today. comes with a 18-55 lens.. I’m ready to go ! I guess you are…have fun! Beautiful! Much thanks for following First Night Design!